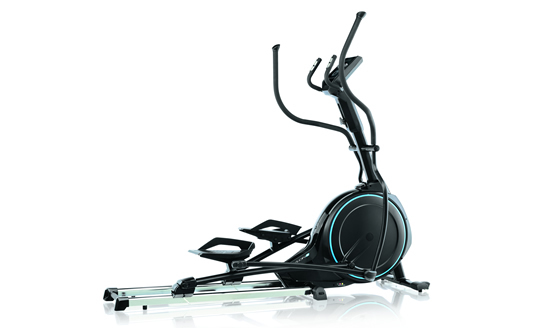 Manufactered in Germany, KETTLER Skylon S Cross Trainer is one of most selling cross trainer of Skylon series. This cross trainer have attracting features like induction brake system, comfortable folding system for space-saving storage, bluetooth interface for communication with Smartphone, etc. Bluetooth interface for communication with Smartphone. Device can also be used via glass without smartphone. Computer: Back-lit training computer with HeartRateLight which changes the console colour in accordance with your heart rate: blue = try harder, green = ideal zone, red = stop! Programs– 10 training programmes including Heart Rate Controlled, Continuous display of 9 functions, with 4 user memory. *Note: Most of the sites, stores or shopping portals listed above sell KETTLER Skylon S Cross Trainer with discounts and other exciting offers. There is a possibility that the some of above websites are not selling KETTLER Skylon S Cross Trainer now. Toughtrain.com is not liable for such cases or instances. Also we do not recommend any seller for KETTLER Skylon S Cross Trainer and a buyer should buy from where he/she gets best deal with quality of products, service and on time delivery (shipment).